I completed this project in January 2018 during my internship at Little Jacket in Cleveland, Ohio. The assignment was to create signage for an elementary school playground that visually merged the core principals of the IB (International Baccalaureate) program with physical activity. I was given the ten core IB principals to work with, and from there I chose a sport that matched a principal. While creating these I had to adhere to the school brand guidelines which included using school colors (yellow & black) as ell as the school typeface (GT Walsheim). I worked independently on this project, sketching out many iterations, periodically receiving and implementing feedback from Roger Frank, Creative Director, Joey Parlett, Designer & Christian Woltman, Designer at Little Jacket. the Signs in the wild. These are two photos of the signs currently posted at the elementary school. 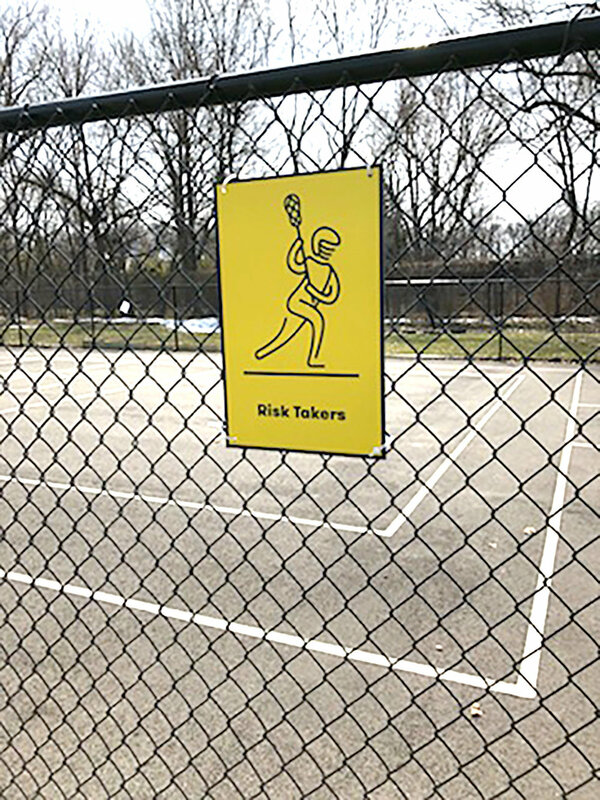 They surround a four-square court in the Cleveland Heights, Ohio elementary school.